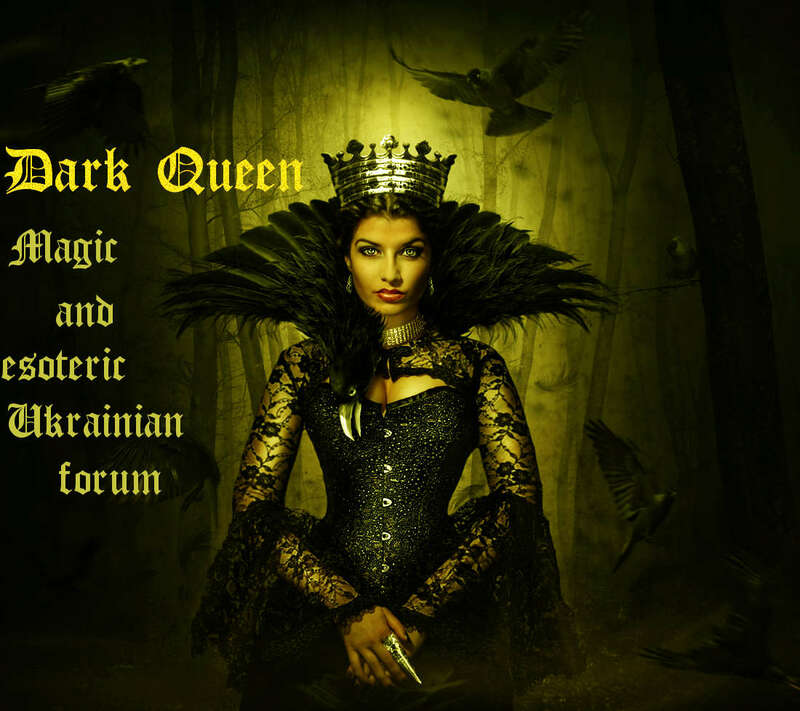 Dark Queen » Articles of the authors of the "Dark Queen" forum. » Articles of Alexandros. » Transformation of the internal negative energy into the Magical Power. All the information you can read here comes out of the practical experience, which has nothing to do with the countless variety of practices and pseudo-practices that one can see in online publications and printed material. What kind of energy will we talk about today? More precisely, what energy will we call negative for the Witch? The Witch with a capital letter. What is the difference ? First of all, the Witch with a capital letter is the Witch by family line, in its everyday life, by its essence, by the perception of the surrounding world, by interaction with the universe, and hence with all the beings of lower, higher and intermediate worlds. The Witch lives in our intermediate physical world and consciously and unconsciously she accepts not only her physical body, but her Witch’s Soul, the Soul of the Demon, Evil angel, Serpent, Fox, Praying Mantis, Wolf, etc. She accepts it completely and consciously. I have listed only a small part of the Witch's Companions with whom she often shares her physical body. Put it bluntly, they live with the Witch the same life, sharing the same physical body. Thanks to these Companions, or rather partners, the Witch succeeds in realizing a lot of things in her life and achieving success in any current of Magic. No sooner the Witch ceases to accept herself, her inner world she shares with her companion, lots of problems arise in her life, as well as problems in magic that cause negative emotions. Any emotion is a fuel, a magical Elixir of Power, a magical source that allows you to realize all dark and light magical acts. Emotion is the nuclear bomb. And if you blow it up inside you or in the surrounding space, you destroy yourself. A nuclear explosion is always an uncontrolled explosion. Many of you will argue and object saying that they have splashed out their negative emotions on their enemy, on the negative situation, on a series of events and everything worked correctly. I have to disappoint you, it's just an illusion, each of us is a part of the universe, part of the Most High, which created both Gods and Demons and all of us. And we are just a cell or even an atom in this organism. The analogy is not aleatory, an unhealthy cell is either healed by our organism, or it gets rid of it. A cell that disseminate chaos or destruction (in our case this cell is a Witch) is sick and is subject to destruction or healing. The task of the Witch in our modern world is very different from the tasks of the Witch of the Middle Ages and the beginning of the first millennium of our era. The Witches of the past had one task - to survive by destroying their enemy. There was a natural selection during the last 700 years, mostly stimulated by the "noble" Inquisition. Witches that burned at stakes, were drowned, tortured on the ganches, buried alive, but reincarnated again and again, after their agonizing physical death, these Witches are those who longed to assert themselves and survive in this intermediate physical world we live in. Reincarnation by reincarnation the Witch rapidly became fiercer and fiercer. The memory of past incarnations tragically ended (execution) made women more rigid and less tolerant, but thanks to these very qualities, the modern Witch survived. She began to dominate everywhere, in all parts of the globe, in all countries. It’s great that in there is a Witch in every woman, regardless of whether she is revealed or not, regardless of whether she realizes that she is a Witch, or does not. She has the Force that she can innocently or negligently blow up like atomic bombs around herself, disseminating chaos and devastation. And it does not matter that she does not understand or does not know what she is doing. The universe, by analogy with an organism and an unhealthy cell, tries to get rid of such a Witch on the physical level, first giving her the opportunity to heal by pushing her lightly (various problems in her life) towards healing, which consists, first of all, in accepting herself as a Witch, and secondly, in conscious acquisition of certain practices and skills in the magical interaction with the surrounding world. And it does not matter how you got these practices and skills, whether through lower astral, the upper astral, the Akashic chronicles, studying of various primary sources, training with different practitioners and so on. Then comes the third and the most important stage, which we’ll touch upon today - it is the interaction with the world around us using one’s knowledge and capacity in the right way. The rectitude of actions isn’t determined by us, but by the Higher Powers. Remember that we are just a cell in the body of the Most High, and the Higher Forces are like the main organs of the body responsible for its normal vital activity and all of them are important, whether they are Higher Forces of the Dark Worlds or Higher Forces of the Light Worlds, they mutually decide what to do with the cell that does not want to be healed or accept treatment (in our case this cell is the Witch). If the Witch reached the age of fifty years old (forty-three or forty-five years old according to my personal statistics) and does not learn to interact with the outside world in a right way, she is rapidly led to the end of her life cycle. Moreover the destruction of her Family (on physical plane) starts - diseases, problems, troubles, accidents (the karmic mechanism of the Family line is launched). The greater is the Magical Power given to the Witch by birth, the stronger is her witch’s family line, the higher is her responsibility. What matters for any Witch is not only her action, but also her inner emotion. And since all Witches are proud and independent, they habitually throw themselves at the embrasure of events. The most important is never (and under all circumstances, except for the direct threat to life) rush to act. Count to ten, to a hundred, to a thousand ... depends on your temperament. While counting remember an important magical postulate, yet an axiom: "A true magician, a witch, will never find himself/herself on a mountain path at the time of a rockfall! And consequently they will never have the need to protect themselves from a rockfall ». A true competent Witch does not get into negative situations. She rides on waves of life and events like a surfer, and she isn’t overwhelmed by a wave of troubles. But if it happened, hold you breath, count and start using the flow of energies and events directing your feet in the direction we need. We practice « energy Aikido ». We pick up the flow and add a bit of its own to redirect it’s movement. The person who don’t move is still quite stable, it is difficult to disturb his balance. It’s easier to disturb the balance of walking person, but if the person is running fast you can just pluck his sleeve or push him slightly and he will sweep by or fall. The same is with the energy, you shouldn’t try to oppose yourself to the universe, you should use the flow that rushes on you, redirecting it with the help of your energy in the direction you need, and for the desired purposes. The more you resist, the stronger will be the external influence on you. The world around you is a reflection of your energy magic egg. The stronger is the impact on you, the stronger is your energy. The strength of counteraction is equal to the force of impact. That's why you need to think about what you did wrongly and where. And if you resist strongly, believe me, it will be back to you. The question is that you are not able to be in a state of such emotional rise 24 hours a day. You’ll burn your life quickly. The secret of longevity in balance and harmony. If you do not calm down, if you can’t control yourself and if you don’t master the art of stalking to the right degree, then, my dear Witches (to my understanding you have passed the selection, that means you love and desire practise witchcraft), you shoud use wax to get rid of the negative when you are enraged. If you feel negative emotions or a negative situation has happened, take a wax ball with the diameter of five to seven centimeters (you should be alone), close your eyes and start kneading your wax ball thinking about the negative, mentally rolling into the wax the whole negative situation that pass through your palms and palm chakras in this ball of wax. Do this until you calm down and feel the emptiness or pacification (depends on your personality). Then wash your hands with a pine-tar soap thoroughly with running cold water. IT IS A MUST ! Repeat this procedure as many times as necessary (changing the wax ball every time). Then, if you are not ready to continue the work, wrap the ball into a black opaque paper. Then wash your hands with a pine-tar soap thoroughly with running cold water. IT IS A MUST ! 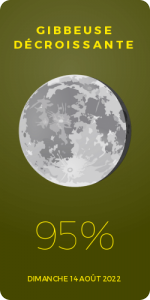 Now the first option is to bury it in the cemetery from 9 P.M. to 3 A.M. - your time for working in the cemetery (the optimal time is from 1 to 2 P.M.). The second option is to throw it into the river from a bridge at sunset, facing downstream. In such a manner you just get rid of negative energy and emotion. The third option is the work with fire. First of all soap your hands with a pine-tar soap and let it dry on your hands. Thus you get a pine-tar glove. Then you take some wax and you start kneading it (not melting !). While kneading you think about your negative emotion/situation pushing this negative energy into the wax. Put the candlewick into the candle. It will look rough, but it does not matter. Put this candle in the salt circle and adress to the Spirit of Fire, ask it to come and lit your candle. We use MATCHES to lit a candle ! Strike a match and set your burning match to the candlewick but do not touch it. Adress to the Spirit of Fire and if you see a fire drop that seems to live a life on its own and moves along the match (its size is 2-2,5 mm. ), set it to the candlewick and keep asking the Spirit of Fire for help. The fire drop will pass from the match to the wick on its own. The color of this fire drop is slightly different from the color of the burning match, usually it’s more orange. While the candle is burning you appeal to the Spirit of Fire, tell it what you are asking for and for what purposes you want to transform the energy sealed in the candle. When the fire dies out, don’t forget to thank. Do not blow out the candle ! If everything is done correctly and the Spirit of Fire accepts you, the fire goes out with a slight pat. Burn the residua of the candle, do not bury them. And the fourth option is an emotionally energetic way of transforming the negative energy. Author of the article Alexandros. 4 Re: Transformation of the internal negative energy into the Magical Power.